This is yet another recipe that suffers from "MQS". 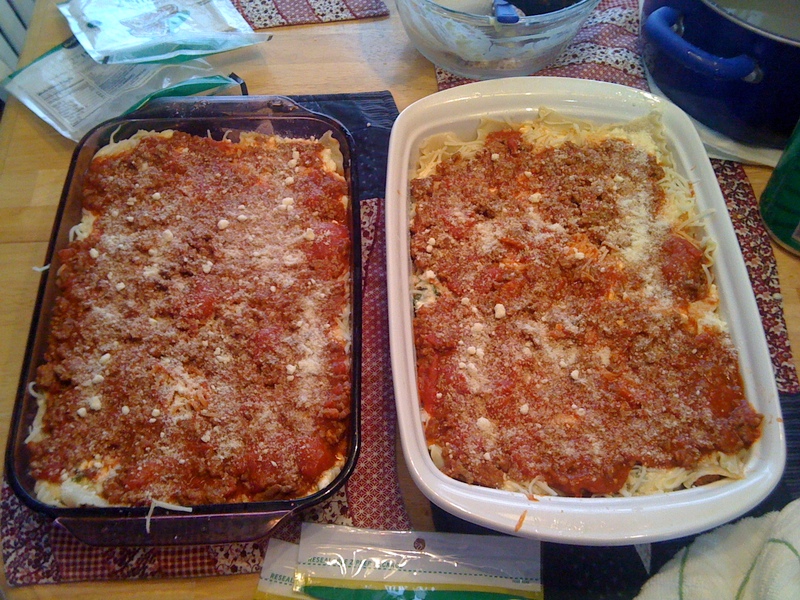 I decided early on to divide it into 2 lasagnas, partly because I started with slightly more beef than the recipe calls for, and partly to make the portions smaller and more calorie-conscious (for lasagna, really). I've made lasagna many times before, I've never really used a recipe. But I'll give hers a go! Here she is, my trusty smallish stockpot. How many times have I been in this situation? LOL! 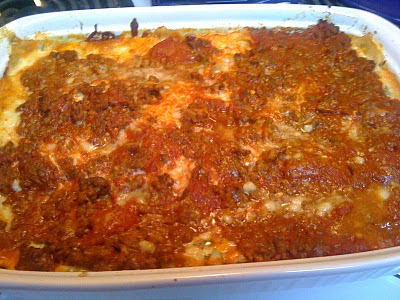 I used a ton of ground beef AND sausage (new to lasagna for me). 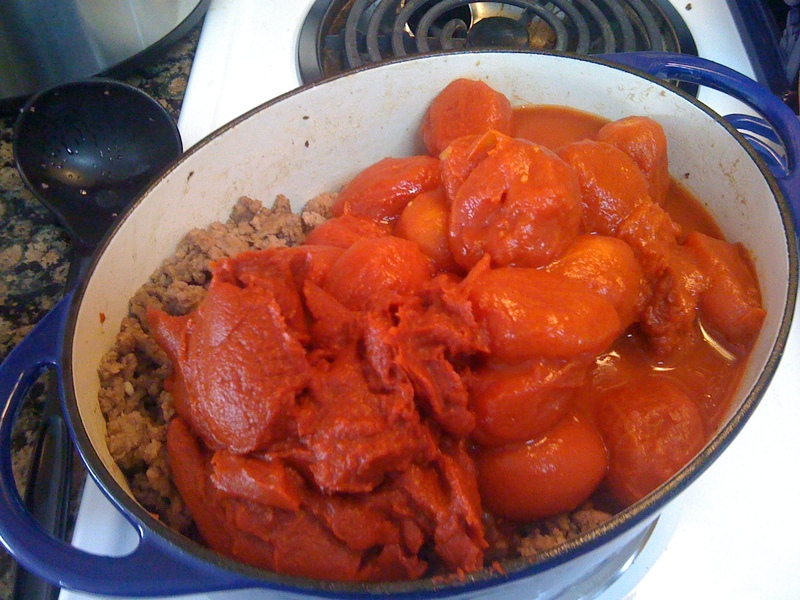 And then 2 HUGE cans of tomatoes. And paste. 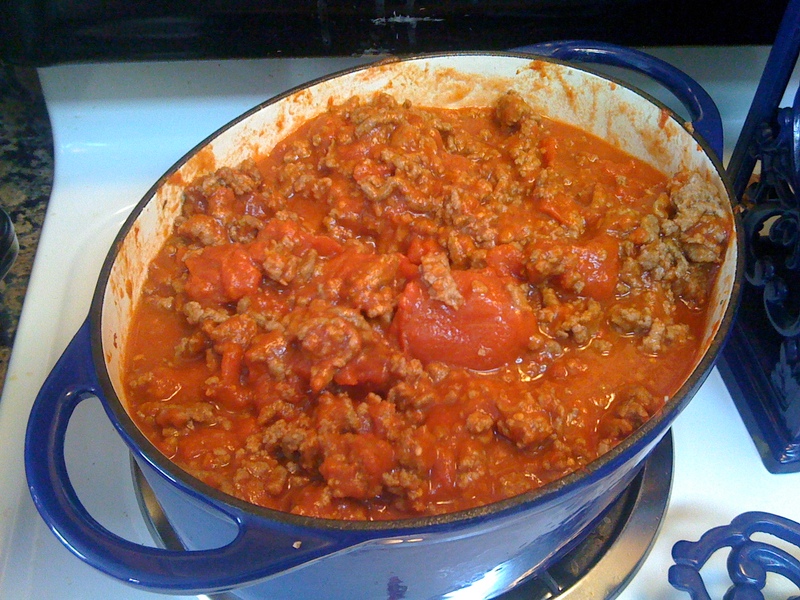 Who wants to bet how much of this will wind up on the stovetop when I'm stirring it together? Not too shabby. Now it has to cook for a while. Here we go, got everything all set out for assembly. 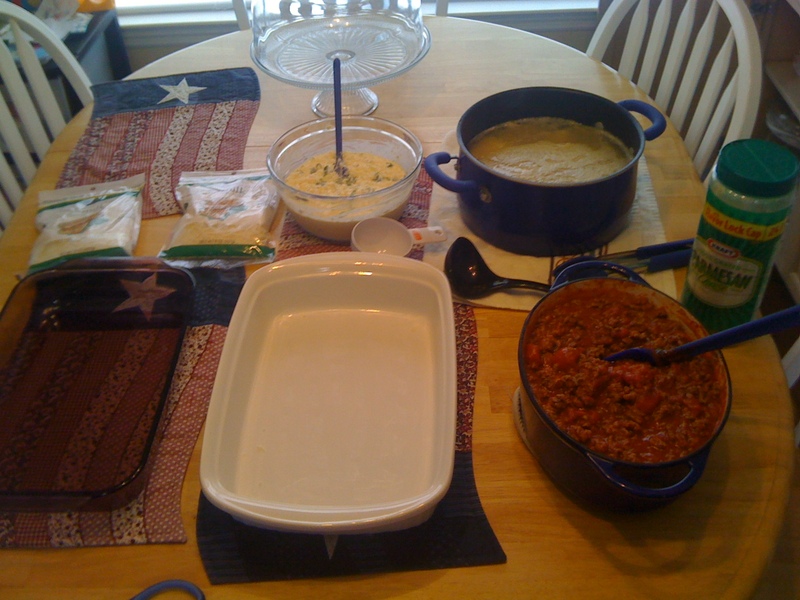 Meat/tomato mixture, lasagna noodles, egg/cheese mixture, and shredded cheese. No, I didn't shred my own this time. Forgive me, PW. With 2 dishes...one's going straight into the freezer. And the one I baked. Mmmmmm, meaty! I meant to get a pic of it cut up so you could see the layers, but I completely forgot. Oops! 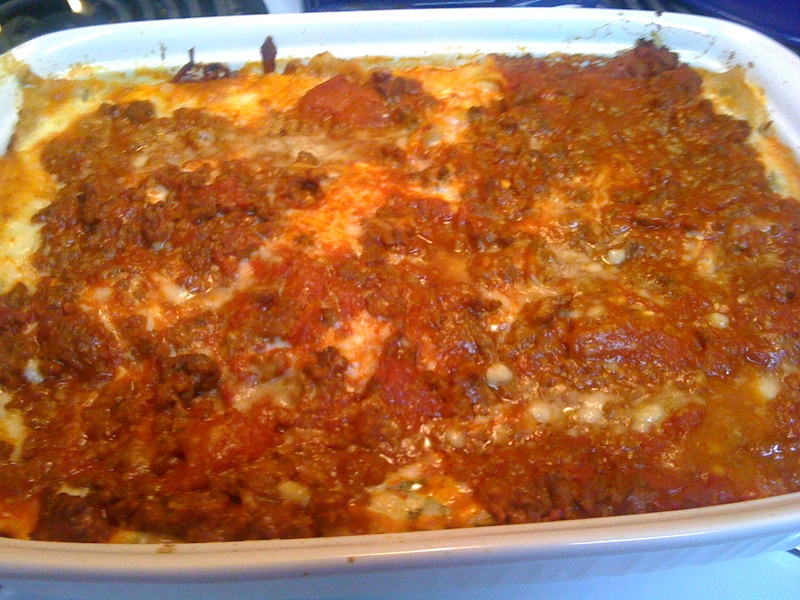 This was really good, even with all the meat in it. Nice! Like what you see? Any tips or advice? Lemme know! Aggie (WHOOP 99! ), Wife, mom, daughter, sister, sister-in-law, nail artist, baker, crafter, fixer-upper, jogger, seamstress, blogger, sunbunny. That's about it in a nutshell. Make your own....Pumpkin Spice Syrup!! Make your own...Sunflower seed butter!